^ "Daylight or Darkness Duration Table for One Year". aa.usno.navy.mil. 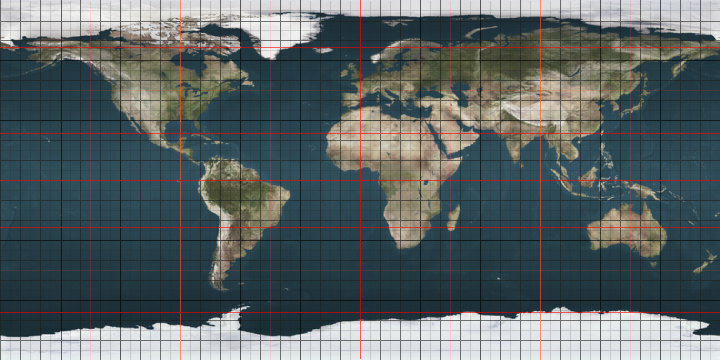 The 64th parallel south is a circle of latitude that is 64 degrees south of the Earth's equatorial plane. It crosses the Southern Ocean and Antarctica. At this latitude the sun is visible for 21 hours, 01 minutes during the December solstice and 4 hours, 12 minutes during the June solstice. The 66th parallel south is a circle of latitude that is 66 degrees south of the Earth's equatorial plane, about 61 km north of the Antarctic Circle. It crosses the Southern Ocean and Antarctica. At this latitude the sun rises on December 13 and does not set again until December 30. The Riiser-Larsen Sea is one of the marginal seas located in the Southern Ocean off East Antarctica and south of the Indian Ocean. It is delimited Astrid Ridge in the west and the Gunnerus Ridge and the Kainanmaru Bank in the east. It is bordered by the Lazarev Sea to the west and the Cosmonauts Sea to the east, or between 14°E and 30°E. Its northern border is defined to be the 65th parallel south. The name, proposed by the Soviet Union, was never officially approved by the International Hydrographic Organization (IHO).